Our topic this term is electricity. Year 6 will be making circuits and investigating why and how we use electricity safely. It seems Keaton is shocked that it worked ! I looked through the prism and saw a rainbow ! Today Year 6 have been investigating light , they used prisms to discover that when light shines through it , it refracts the light and produces a rainbow effect . This is called a colour spectrum . Please note the content below relates to 2017/18 academic year. 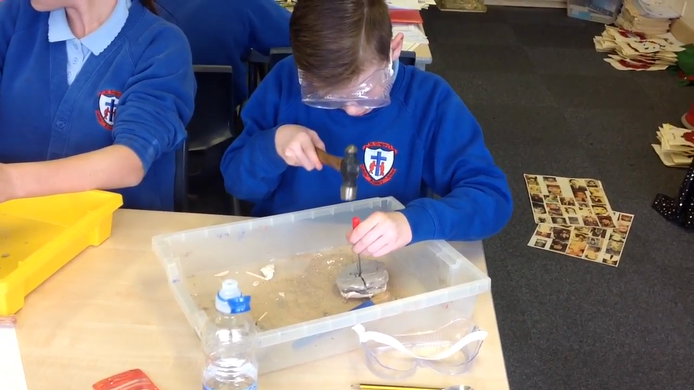 Y6 have had a fantastic afternoon, Mr Stanley came into school to help us understand and investigate "physical and chemical changes". The Children made slime and a mini explosion . They had a great time ! 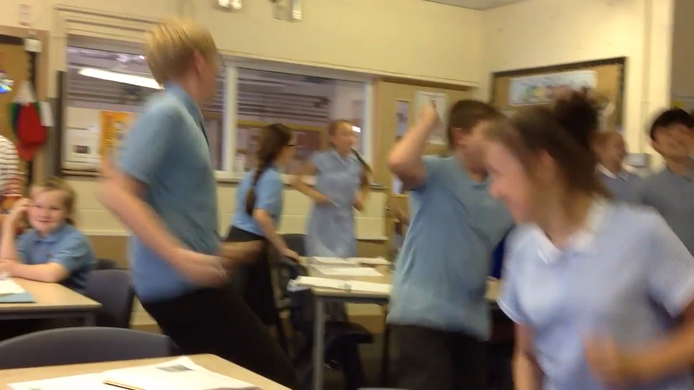 Y6 are investigating the effect exercise has on their heart rate . 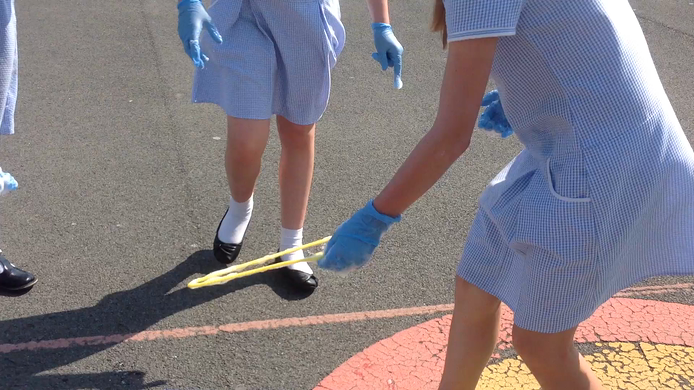 The children noted their pulse rate at rest and after exercise. The children then made a graph of their results. This terms topic is electricity. More experimenting with lung capacity . Finding out our lung capacity ! 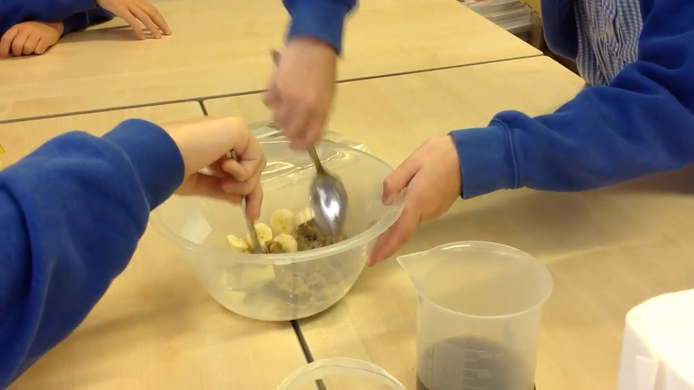 We have been finding out how the digestive system works. 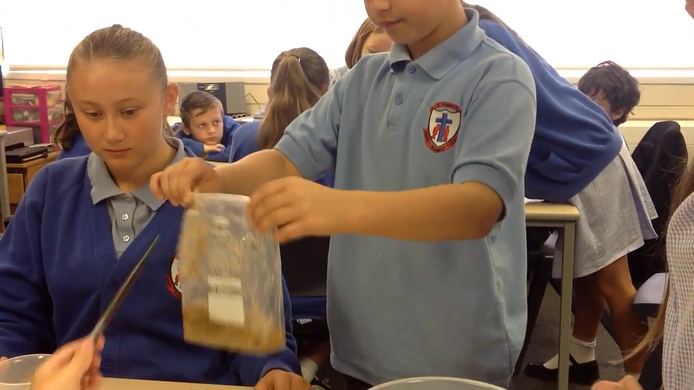 Today year 6 were experimenting and finding out how the digestive system works . 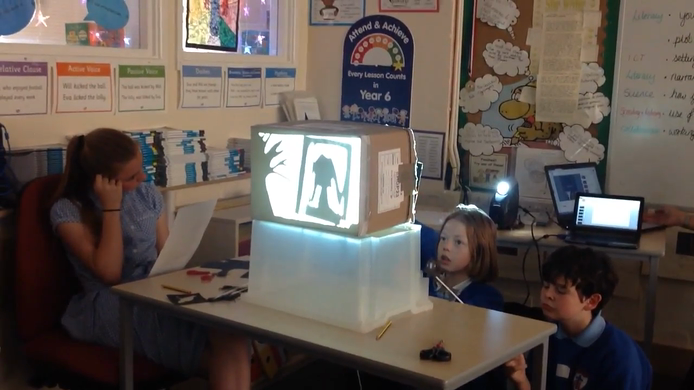 Year 6 made their own puppets from black card and then using their knowledge of light, made a short film . 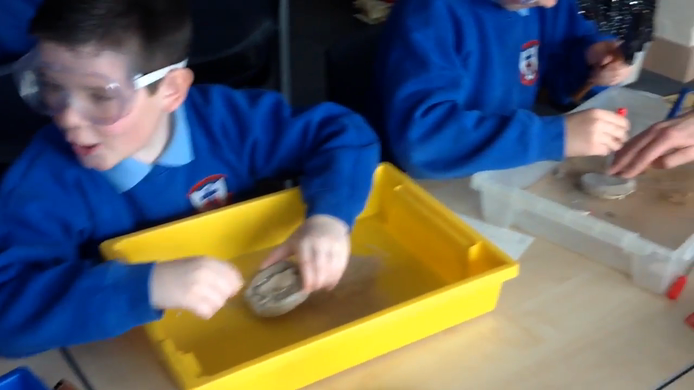 "It was really fun to excavate the fossil"
"I haven't the patience to be an archeologist!" 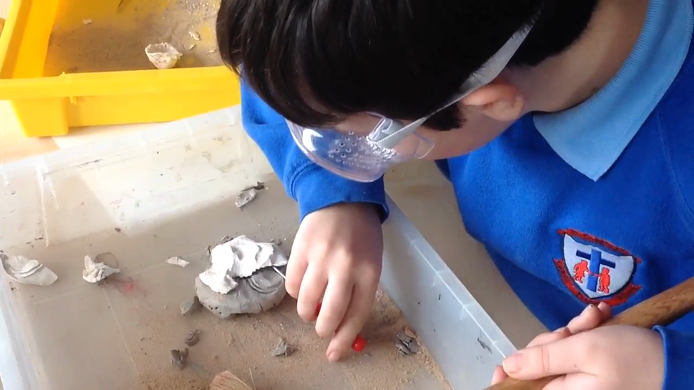 One of our pupils found a fossil on the beach. We looked at it underneath a magnifying glass. Looking at the theory behind the age of Earth! "I think taller people will have bigger lungs"
"We made a parallel circuit!" 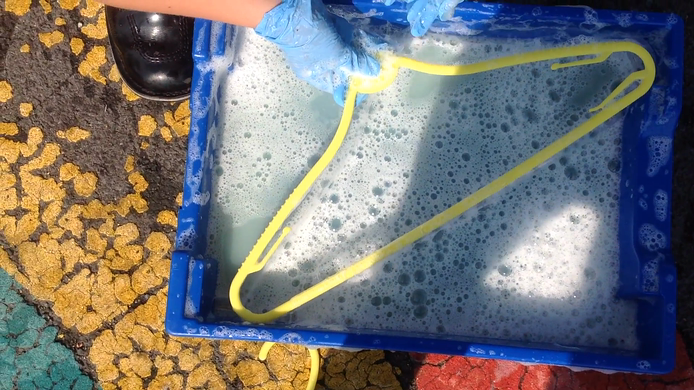 The children were set the challenge to create a huge bubble using different types of soap and water. 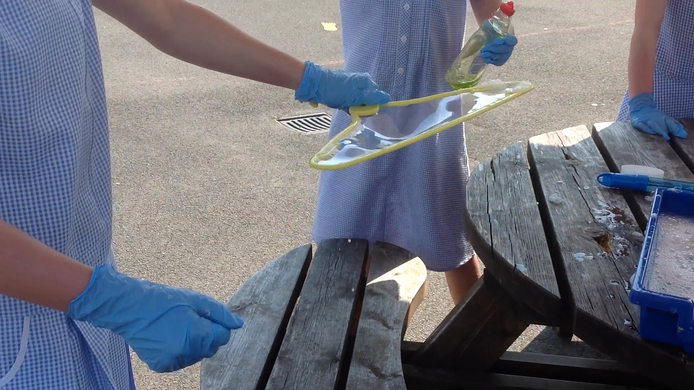 The children were set the task to create the biggest bubble using different types of soap (bubble bath, shower gel, fairy liquid) and water.